Enjoy all things Green at the 2012 Earth Festival tomorrow April 28th from 10:00 am - 3:00 pm at Croft Farm, 100 Bortons Mill Rd. There will be free admission, with food and crafts available for purchase. The day will begin at 9:00 am with a Family Fun Bike Ride through the Barclay neighborhood. 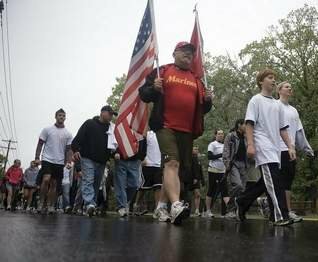 We will be launching the Mayor's wellness campaign during the day with activities including a hike on the trails and run at the track. This event is presented by Sustainable Cherry Hill, in collaboration with Cherry Hill Township and the Cherry Hill Arts Board. Click HERE for more information. You can read more about the launch of the Mayor's Wellness campaign at Earth Festival by clicking HERE. 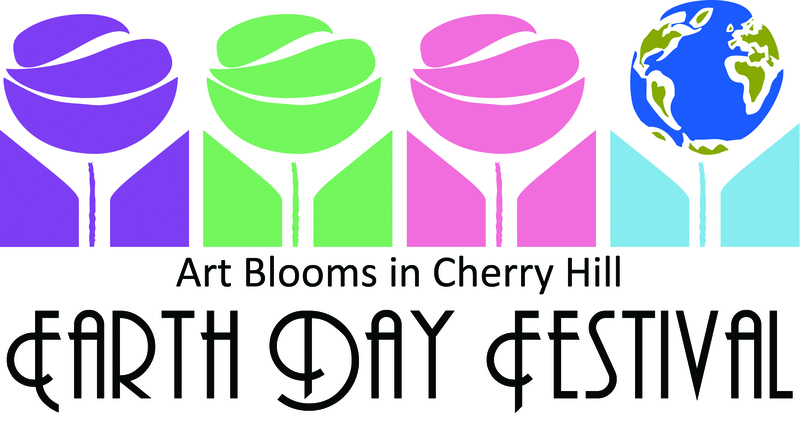 You can read the story by the Cherry Hill sun about Earth Festival by clicking HERE. On Tuesday April 25th the Cherry Hill Citizen's Cabinet held its first meeting in the Township Community Center. The goal of the Citizen’s Cabinet is to assist in the recognition of resident’s needs and suggestions. The members of the Citizen’s Cabinet are ambassadors to their neighborhoods and community organizations. You can view more photos from the meeting by clicking HERE. On Saturday April 21st, Mayor Cahn and Council President Fleisher joined teams and parents for the Opening Day Ceremonies for Cherry Hill Atlantic Little League. The teams held a parade onto the ball field, followed by the singing of the National Anthem and then Mayor Cahn threw out the first pitch. You can view photos from the Opening Day Ceremonies by clicking HERE. The Cherry Hill Arts board received a record number of submissions for the Art Blooms juried exhibit at Croft Farm this year. Jurors had difficult decisions to make with the submission of 148 pieces. After judging, it was determined that 66 pieces of artwork will hang in the show. Each piece is available for sale and the Township does not take a commission. Artists range in age from teenagers to 90 years old and come from all over the Cherry Hill region. Proceeds from the intake fees help fund all arts programs and provide a scholarship for a graduating student active in the arts from Cherry Hill East and Cherry Hill West. The art will be on display during Earth Festival this Saturday from 10:00 am – 3:00 pm and throughout Art Blooms week. For more information visit www.cherryhillarts.blogspot.com. On Saturday April 21st, volunteers held a community cleanup at Croft Farm. Volunteers helped clean up trash along the roadway and trails. In addition, flower beds were rebuilt with new mulch being spread outside the Arts Center. Thank you to all volunteers who participated in this event! You can view more pictures from the cleanup by clicking HERE. At the Township Council Meeting on April 23rd, the Mayor and Council honored Arts Board Emeritus members Leah Barone, Bob Cafaro and Dennis DeTurck for their dedication to promoting the Arts in Cherry Hill Township. At the same meeting, the Council honored Macy's and the Skyrm Family as the Township's latest Energy Champions for their sustainability efforts. Tickets are on sale now for the 2012 "Dancing with the Cherry Hill Stars!" Don't miss Cherry Hill Education Foundation's signature event, which will take place on Sunday, May 6th, at 7:00 pm at Cherry Hill High School West. Click HERE for more details on this year's dancing couples. You don't have to wait for the event to show your support for the dancers; you can vote online now at the Foundation website -www.cherryhilleducationfoundation.com. The sixth Legislative District will hold a job and resource fair on Wednesday May 16th from 11:00 am to 3:00 pm at the Cherry Hill National Guard. The job fair is free and open to the community. For more information or to register, please call 856-435-1247. The 2012 Military Career Fair will be held in Cherry Hill on May 1st. The career fair will proved a chance for Military Servicemembers, Veterans and Military Spouses to meet with top companies to discuss career opportunities. The event will be held at the Holiday Inn from 10:00 am to 2:00pm. For more information, click HERE. Project Graduation at Cherry Hill East and West provides seniors with a drug and alcohol free environment in which to safely celebrate their “first reunion.” Cherry Hill East and West are raising funds to support their Project Graduation efforts. You can support Cherry Hill West's Project Graduation as they hold a Community Yard Sale on April 28th from 8am - 1pm in the West parking lot. During the Yard Sale, Ford Motor Company will sponsor "Drive One 4UR School". Take a free test drive and Ford will donate $20 to PG for every test driver, it's that simple, and there is no other obligation! Drivers must be 18 years or older. You can support Cherry Hill East Project Graduation at McDonald's McGraduate Night (Rt. 70 and Cropwell Road) on Wednesday, May 2 from 5:00pm -8:00pm , including drive-through. Enjoy face painting, mimes strolling, and East's Marching Band Drum Line. Both Cherry Hill West and Cherry Hill East Project Graduation are seeking support for this year’s activities. For more information, contact Carole Kassan at 751-8075 or carolekassan@hotmail.com (EAST) or Jack Gallagher 609-364-5946 or jargonj@verizon.net (WEST). On the heels of Earth Month, coming up Tuesday, May 1st, Mayor Cahn will welcome regional business leaders at Sustainable Cherry Hill’s ‘Greening Your Bottom Line’ breakfast at 7:45 a.m. at Caffe Aldo Lamberti. This informative session starts with registration, networking with our leadership sponsors Hutchinson, Your Total Energy Experts & Montgomery McCracken and six other ‘green-focused’ business sponsors and Camden County Regional Chamber of Commerce. (See the flyer & event link.) You’ll enjoy: a delicious buffet breakfast, Mayor Cahn’s thoughts, a 20-minute presentation on no cost, low cost and next step ways to make your business more sustainable, Q&A and more time for networking. You’ll be on your way to a better business day by 9:30 a.m. Kindly register in advance for this event before April 27th at this link http://conta.cc/greenyourbottomline. Camden County has been forced to cancel the spay/neuter clinic scheduled for April 29th. The Animal Welfare Association has rescheduled the few appointments at their site and will honor the advertised clinic price. Visit www.awanj.org for more information on this program and on low-price spay/neuter for any dog or cat from any area. Unless your home was constructed with special attention to energy efficiency, your heating and air-conditioning bills are probably higher than they need to be. Many older homes have less insulation than homes built today, but adding insulation to a newer home may also pay for itself within a few years. Click here for a step-by-step guide to getting home assessment, and to find out about rebates through the NJ Office of Clean Energy for energy improvements including insulation and air sealing. Camden County has been forced to cancel the spay/neuter clinic scheduled for April 29th. The Animal Welfare Association has rescheduled the few appointments at their site and will honor the advertised clinic price. Visit www.awanj.org [http://www.awanj.org/] for more information on this program and on low-price spay/neuter for any dog or cat from any area. Unless your home was constructed with special attention to energy efficiency, your heating and air-conditioning bills are probably higher than they need to be. Many older homes have less insulation than homes built today, but adding insulation to a newer home may also pay for itself within a few years. Click here for [http://ourpowercherryhill.org/tips-a-resources/19-home-assessments.html] a step-by-step guide to getting home assessment, and to find out about rebates through the NJ Office of Clean Energy for energy improvements including insulation and air sealing.